1 x Aplus Watch. Bluetooth music support MP3, MP4, AVI format and FM, video/WAV sound recording and play. NFC for Bluetooth match fast and easily. Sleep monitoring and sedentary alert. Bluetooth version: V3.0. 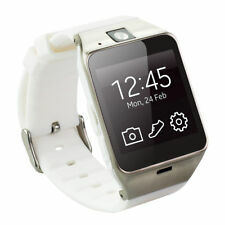 Geelyda Smart Watch Aplus GV18 Bluetooth phone Camera Sweat Proof Wrist Watch .. Manufacturer: Geelyda. This GV18 wristwatch can be used as phone freestanding with SIM card. 1 X GV18 60 Smart Bluetooth Watch. 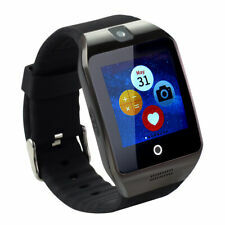 What is required Android version and Bluetooth version for a smartphone to work with this watch?. Bluetooth music support MP3, MP4, AVI format. NFC for Bluetooth match fast and easily. Sleep monitoring and sedentary alert. Bluetooth version: V3.0. Cell phone and watch two-way anti-lost. Display: 1.54 ” TFT LCD display with 240x240 Pixels. Model: Aplus GV18. Support NFC. NFC Support: Adapt automatically and data sync. Support SIM card and TF card. Bluetooth: V3.0. It perfect compatibility Android system. iPhone can only calls, other functions can not sync. Aplus gv18 smart wrist watch with blutooth camera 1. 5" nfc gsm sim card mate for android ios phone. Specifications:Model: aplus gv18. Package includes:1 x Gv18 smart watch. IPhone can only calls, other functions can not sync. Note 2:About Waterproof Function: This function is only available for washing hands, bathing and swimming are not included. Features: 1. Support receive/dial call 2.